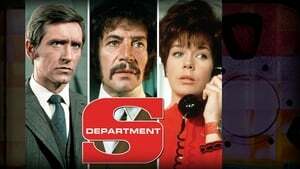 Department S is a United Kingdom spy-fi adventure series produced by ITC Entertainment. The series consists of 28 episodes which originally aired in 1969–1970. It starred Peter Wyngarde as author Jason King, Joel Fabiani as Stewart Sullivan, and Rosemary Nicols as computer expert Annabelle Hurst. The trio were agents for a fictional special department of Interpol. The head of Department S was Sir Curtis Seretse.